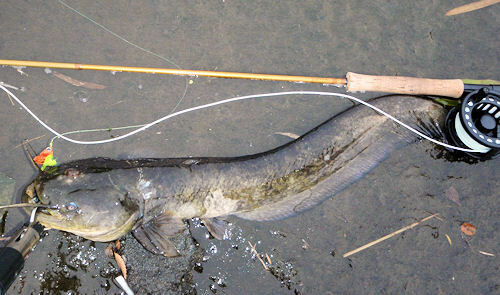 LOW FLY: Japanese Catfish on the Fly. 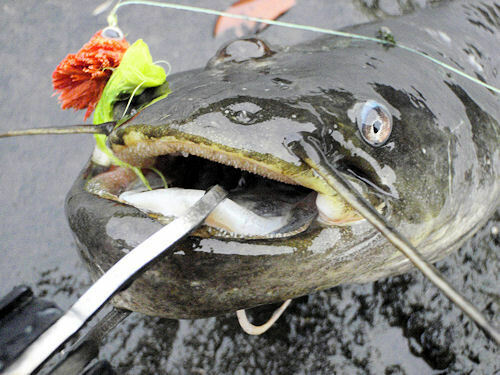 Japanese catfish fished well in the spring and summer. Catfish are fished in the shallow river. 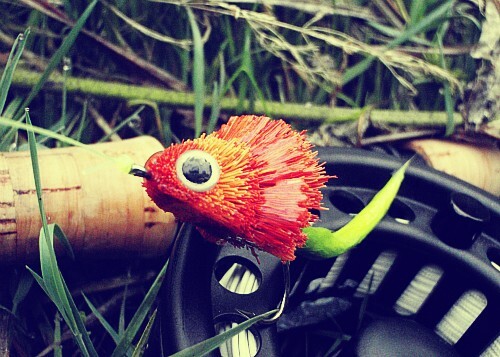 Catfish fishing at night is more easy than daytime. 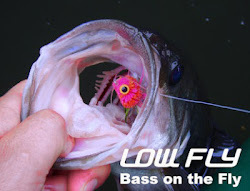 more fun and exciting fish in the popper and Bass-Bug.